Effects of rapid transmeridian time shifts on behavioral and biological parameters such as vigilance, heart rate, and urinary excretion of electrolytes and corticosteroids have been demonstrated (1, 2, 3). Because of the key role played by hormones in the adaptation to the environment, disruptions in the temporal organization of hormonal secretion might be involved in the production of the jet lag syndrome. 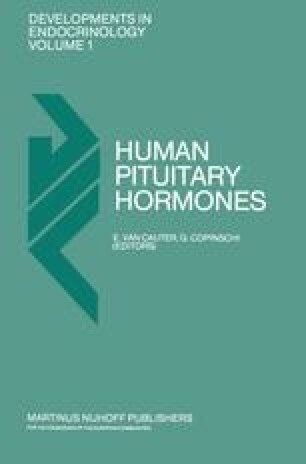 The current availability of sensitive hormone assays has made it possible to test this hypothesis. Moreover, assessment of jet lag induced changes of the 24-h hormonal profiles and their pattern of adaptation is expected to bring further insight into the control of the various hormonal rhythms, the identity of their zeitgebers and their possible interrelationships.